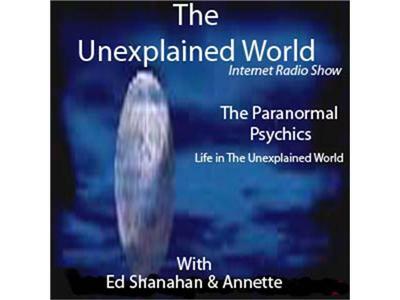 Join Edward Shanahan and Annette this Friday night with their guest Spirit Feelers Toni Havlicek and Stacie Haas who are a Mother and Daughter team and will talk about what happened last Saturday at a Joliet haunted residence. Also Edward Shanahan's daughter Nichole plans on joining in this night. Plus upcoming dates, new paranormal / spiritual book by Edward Shanahan and paranormal dates that are happening in the Chicago land area.